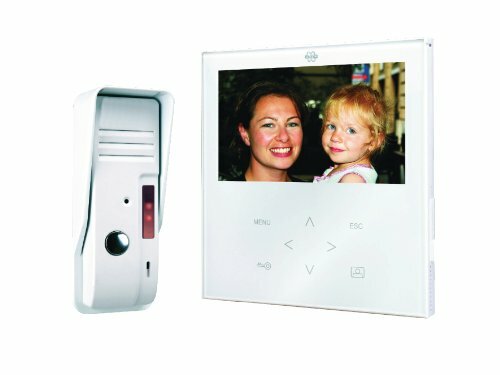 Byron Video Door Intercom Elegant Touch BYRVD71Byron VD71 Elegant door video intercom with slim-line metal outdoor unit. It is fitted via a surface mounting bracket. It features a lighted push button with name plate and has an adjustable bell volume. Its cable extends to a maximum of 30m. It also has a button for door lock function (door lock part code is BYRDB5005).